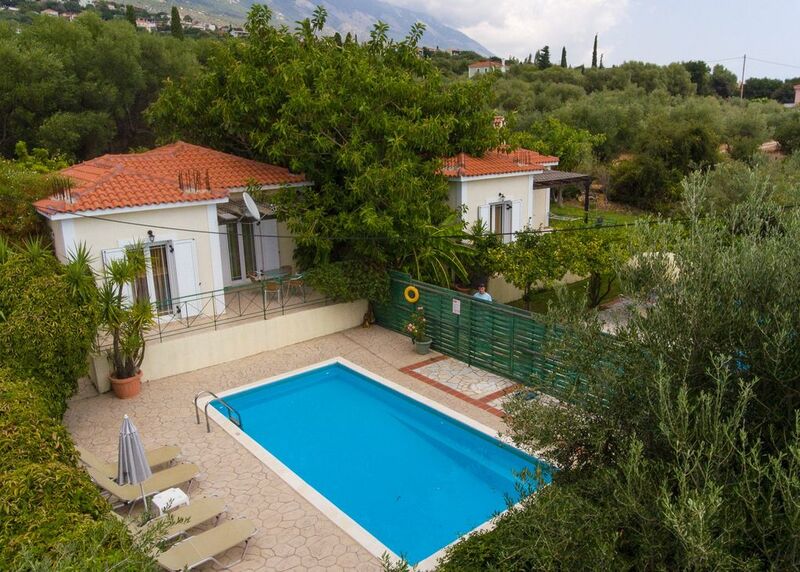 Die Villa Russa Alexandros befindet sich in Trapezaki, Kefalonia. Unser freistehendes Ferienhaus ist klimatisiert und bietet Platz für bis zu 4 Personen (3 Erwachsene und 1 Kind) mit 1 Schlafzimmer, 1 Badezimmer sowie einem privaten Pool (Südwestlage) und Meerblick. Die Villa liegt nur wenige Gehminuten vom Strand und den Restaurants entfernt. Villa Russa Alexandros verfügt über 1 Schlafzimmer. Wenn zusätzliche Betten benötigt werden, gibt es 2 Schlafsofas. Die Villa bietet Platz für bis zu 4 Personen. Das Badezimmer ist neben dem Schlafzimmer und hat eine Dusche, Waschbecken und WC. We fell in love with Kefalonia as soon as we arrived. The directions and instructions were really easy to use and everything was as described. The villa is larger than expected and has everything you could need. The kitchen had all the cutlery/utensils etc you could need and everything was in good working order. The fridge freezer is large and has ample space for all your food and drinks. The beds were comfy with 2 pillows each and blankets for the cooler nights. There is a hairdryer and ample electric sockets. On both the doors there are insect screens you just pull down if needed. The maid and pool man came twice during our stay and were friendly and discreet. The area has plenty of tavernas and bars within a short drive or a steep hill walk if you feel fit enough. This place is for those wanting peace and quiet with private terrace to really relax including the lovely pool to dip in and out of when required. We would like to take this opportunity to thank you for taking the time to complete feedback for Villa Russa Alexandros. We loved our time here. Just the right size for the 3 of us! We hired a car for 4 days, which is necessary if you want to explore the island. The shops and beach were slightly further away than anticipated but the area was clean, quiet and friendly. ????????? Just the right size for the 3 of us. Basic & simple but clean and tidy. Shops & beaches are slightly further away than anticipated but we hired a car for 4 days. The villa overall was perfect and we will definitely use Agni travel again . Der Trapezaki-Strand ist lang und sandig mit dem Fokus um einen winzigen Hafen, in dem die Einheimischen ihre Fischerboote halten. Strikte bauliche Beschränkungen haben verhindert, dass sich Gebäude in Strandnähe befinden. Daher ist das Gebäude sehr natürlich und der ursprüngliche Charme bleibt erhalten. Es gibt ein paar Tavernen und oberhalb der Bucht ein paar Minimärkte.